"It's worth noting that the head to head meetings so far have been very serve-orientated, with Serena holding in excess of 80%, and Pliskova more than 70% of the time as well." There were wins for Danielle Collins and Petra Kvitova on Tuesday in Melbourne, with Collins recording a comeback victory over Anastasia Pavlyuchenkova and Kvitova extending her head to head lead to 4-0 over Ash Barty. Collins' win means that she will improve her ranking to just outside the top 20 even if she loses to Kvitova in the semi-finals and this completely takes the pressure off her to defend her semi-final points from Miami in March. It will certainly be interesting to see how she is priced in smaller events, and on clay, in the not too distant future. Looking at Wednesday's matches, first up, at around midnight UK time, is Naomi Osaka against our outright pick, Elina Svitolina. With Serena Williams, and the aforementioned Kvitova, looking ominous, Svitolina's tournament winner price hasn't shortened as much as I anticipated, but she is certainly not without a chance against Osaka, who has got to this stage despite not looking her best against Su-Wei Hsieh and Anastasija Sevastova in the last two rounds. My model goes [1.72] on Osaka, making the current [1.69] market price extremely accurate, and it will be interesting to see how the match progresses given the differences in playing styles. Osaka has better service numbers, but Svitolina does have a slight edge on return, and also boasts strong break deficit recovery figures as well. On the flip side though, Osaka is one of the most solid front-runners in sets on tour, so appears to cope well with the pressure when leading generally. I don't see any value here at all for either player, so I'll happily move on to the second match on the schedule between Serena Williams and Karolina Pliskova. Serena is now looking ominous in the outright market, with her win over Simona Halep yesterday shortening her outright price to around the [2.5] mark, before settling at a current [2.84]. 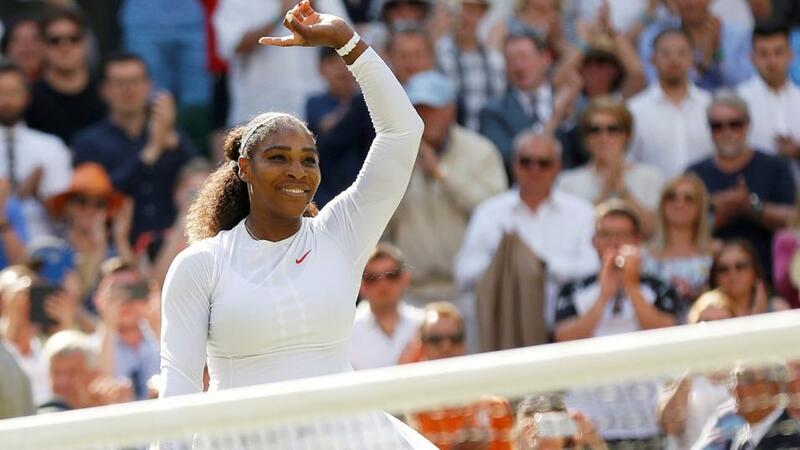 She matches up tomorrow against Pliskova, who has won one of their three head to head meetings, at the US Open in 2016 - Serena got revenge at the same venue in 2018. It's worth noting that the head to head meetings so far have been very serve-orientated, with Serena holding in excess of 80%, and Pliskova more than 70% of the time as well. It wouldn't be a shock at all if this serve-orientated theme continues tomorrow, and a tight matches with few breaks looks likely. Serena is [1.39] to get the win, which my model largely agreed with, so again, it doesn't look like there is much in the way of value on tomorrow's women's card. As I've mentioned in the past, the dwindling of value opportunities later in Slams is not a huge surprise - player levels are well exposed, and the market simply doesn't make that many mistakes in matches featuring two big names or tour regulars. I'll be returning tomorrow though, to discuss the semi-finals in detail, and hopefully there will be a pre-match value opportunity then.